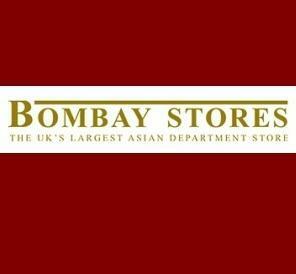 Bombay Stores01274 729993work Shop - FashionOur history is integral to our positioning today as the UK’s largest Asian department store. Established in 1967, Bombay Stores was a pioneer of the Indian fashion we know today. Our aspiration to lead the market coupled with hard work has enabled Bombay Stores to go from a small shop on Great Horton Road to the grand department store we are today. With forty years experience, we have developed an in-depth understanding of the Asian fashion market. So if you are looking for style that affords comfort and doesn’t cost the earth visit Bombay Stores. For an unrivaled range and to find the perfect occasion wear visit Bombay Stores. We are Aladdin’s cave of possibilities and you will find yourself spoilt for choice. Our history is integral to our positioning today as the UK’s largest Asian department store. Established in 1967, Bombay Stores was a pioneer of the Indian fashion we know today. Opening hours: Mon – Sat 10.00 – 19.30, Sun 12.00 – 18.00.